I spent the weekend up in Maryland, at SCBWI MD/DE/WV’s “Spring into Action” conference with some of my Write-Brained Network palsy-walsies: Alison Miller, Cambria Dillon, Cristin Terrill, and Sara McClinginstein. Okay, okay—that’s not her last name. But it should be! 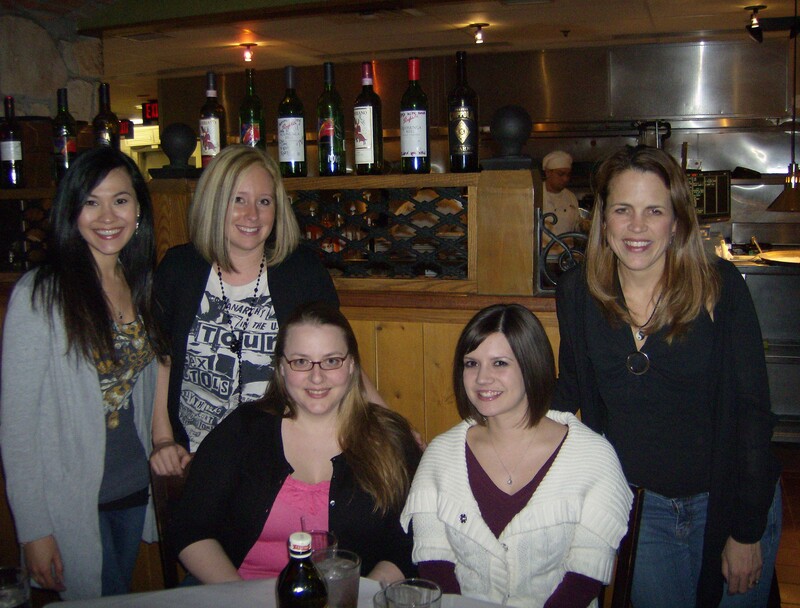 A fantastic time was had by all; I’m so lucky to have such awesome writing friends! We laughed. We talked A LOT. Like, probably more than anyone has ever talked. We created our own pasta. We said, “That’s what she said” more than Steve Carell. Now, my juices are flowing (that’s what she said?). I came home pumped and rejuvenated—and freaking tired, but I plan to lasso some zees shortly. I can’t wait to beat out (TWSS) that shiny new idea that’s been swirling around in my brain for the past few weeks! Also, here’s something awesome: I sent in some pictures of my beagle, Molly, for a contest on Confessions from Suite 500 that Nancy Coffey Literary agent Joanna Volpe’s Chihuahua, PeeWee, was holding, and he posted them! Molly and I were muy excited—Molly strutted around the house all night, like the regal beagle she is. Check it out! The beagle is a noble breed.